What does a WATT cost? Solar Tech is growing fast. 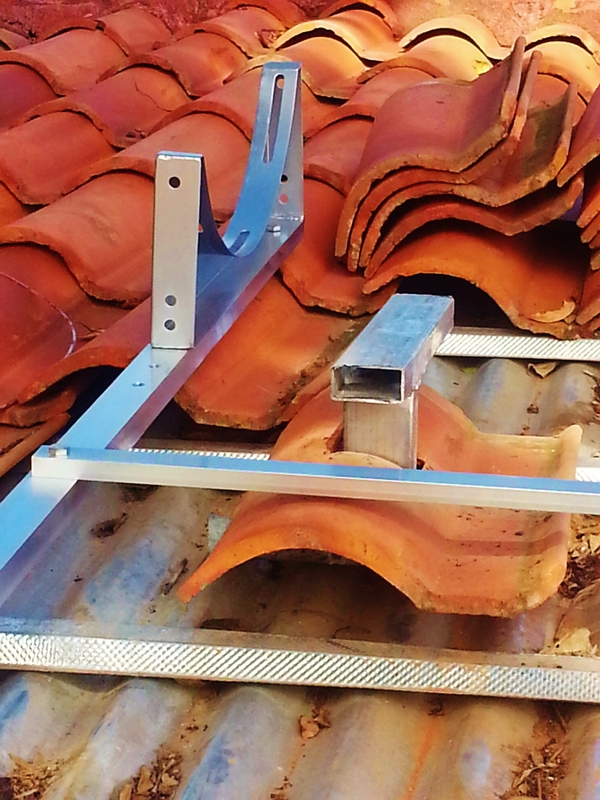 For this reason we no longer list wattage or improvements ― just how much you pay for a Watt installed and making electricity on your roof. Today that Watt costs you $2.50. Not the cheapest or the most expensive, but all the high rolling times are already squeezed out of it… to sell quality installed, at this price is hard to do… we’re doing it. 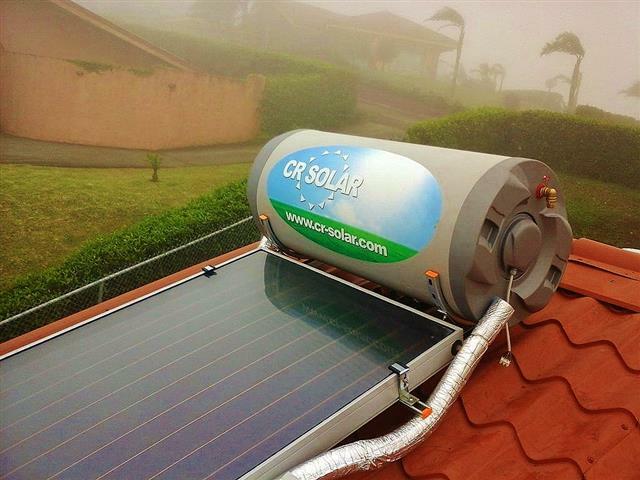 CR-Solar (.com) Follows the Quality. We use commercial grade A panels from Canadian Solar,™ and Enphase Microinverters (battery ready for when they get real). Fully guaranteed. These are available for a limited time in 150 Liters and 300 Liters. 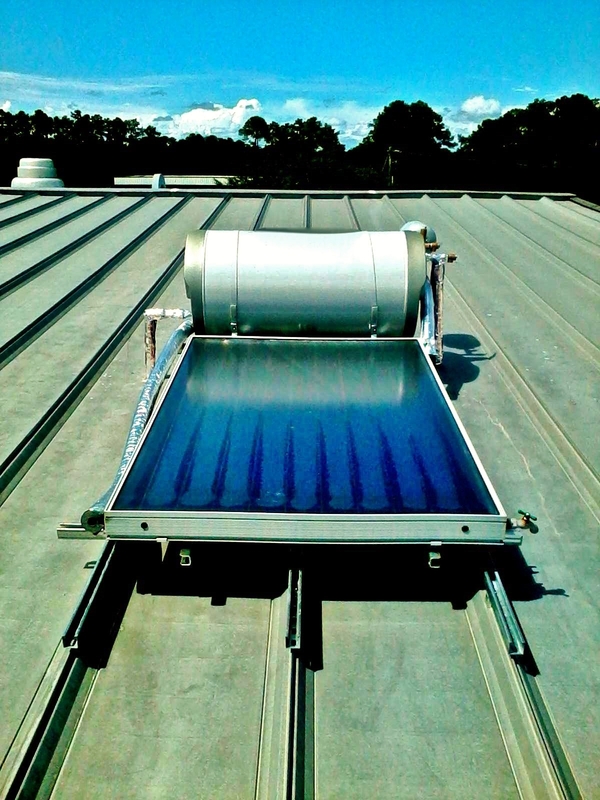 We’ve sold many types of Solar HOT WATER’s over the years, and they’ve been great. But after living with this tank on our house, we will sell no other. “Old Style” tube system makes LOTS of HOT WATER. The sun is old… don’t care about style.This last week, with the rains and all, 3000 feet up on a ridge, Gaby and I took hot showers without ever using the electric back up. I never bothered to hook it up. You can look up hot water tanks that look exactly like these but NONE of them work like ours. Yup, this is our solar tank leaning against our house. If we ever move, I’m taking it with me. 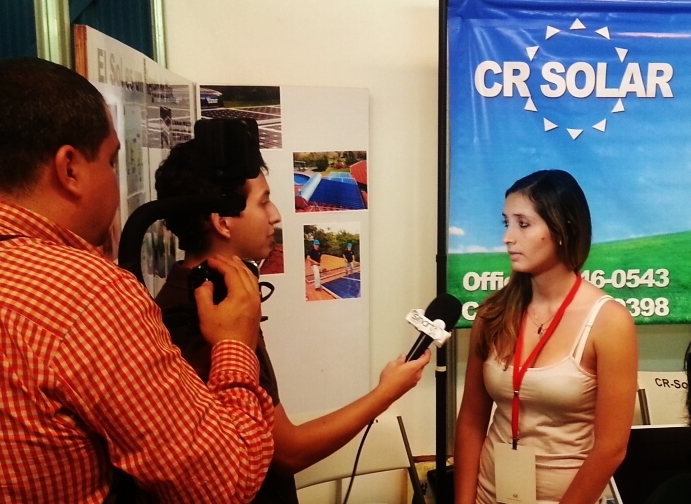 NEW structure with CR-Solar.com allows us to cover most of Costa Rica. New low prices, same high quality products. 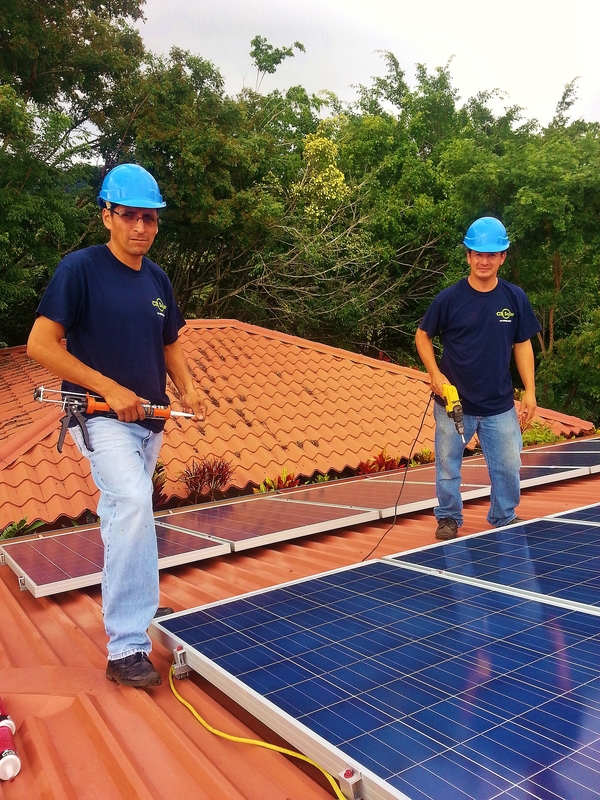 Canadian Solar 320 Watts each, tied to Enphase M250 microinverters, which will dovetail with the new Enphase AC Batteries when they become available in Costa Rica in quantity and at competitive pricing. It’s a deal… we have you covered. New Deal: this is what the various companies say they will charge per kilowatt hour. We, through our organazation, ACESOLAR, are still pushing for some kind of uniform spread that works for everyone. Right now it’s just talk. Below you’ll see only one company (CNFL) is accepting applications, and as of today, they don’t have any two-way meters in stock. No way to know when this will change. CNFL, S.A ₡17.44 * only one accepting applications! How it works: ARESEP (them) uses AUDIENCIA PUBLICA to make announcements of price changes for gas, water, electric, etc. The above prices are what they plan to announce on April 30th. That’s just a date…..some of us are positive of the outcome and some aren’t, time will tell. 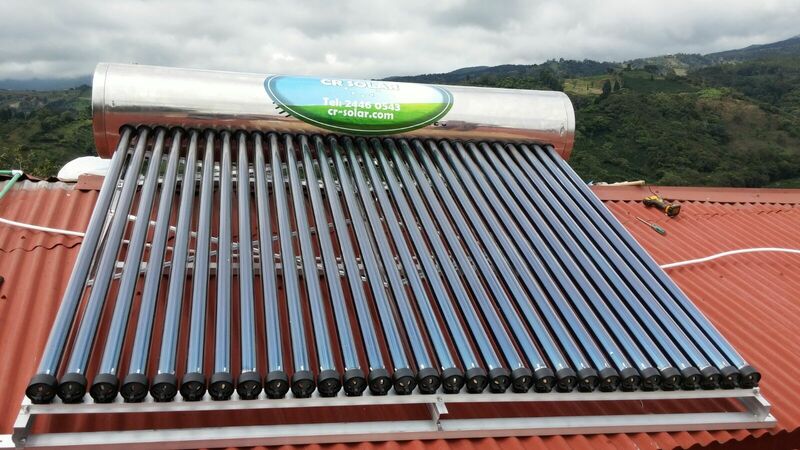 FIRST attack your electric bill with a solar hot water heater. “Old Style” tube system makes LOTS of HOT WATER. The sun is older and don’t care about style. We no longer sell these tanks but if you have one, I’m sure you’re happy with it. Above: this tank will deliver scalding hot water without sun for a week! Just needs light, so if you’re where the sun don’t shine, give us a call…. 150 liter system: $1,795 installed. 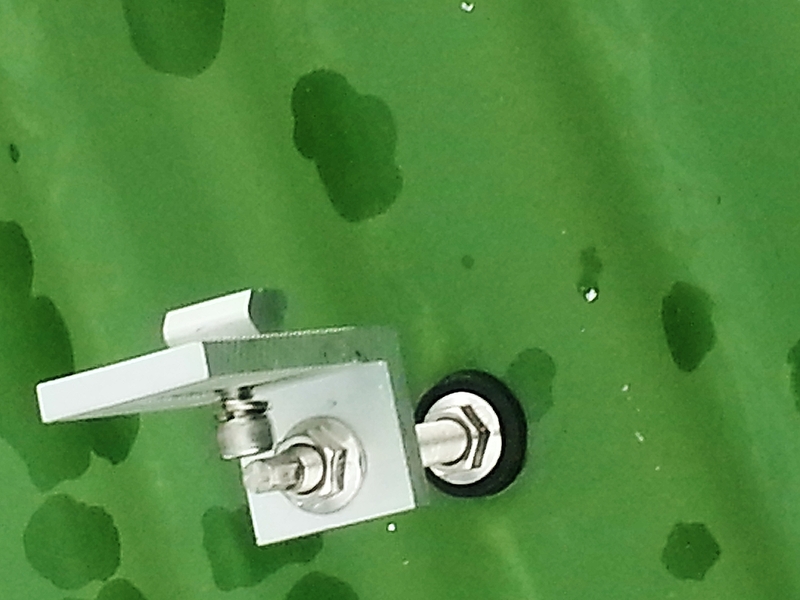 200 liter system: $1,895 installed. If you install your Solar Hot Water System Now, in two months you’ll know for sure what your new electric bill will be, an average of 40% lower; read 40% fewer panels to install later when you go to really Kill the Bill. Something to think about. THEN we’ll do a new estimate on how many panels you’ll really need. During the two months it took to get a clean bill that reflects your new hot water system, lots of things will have happened. Maybe it’s so Good you’ll want us to get you hooked up to the grid and be a happy contributor to the environment. In any case we’ll surely have a better idea what power companies will charge us after the dust settles. And; they’ll be more likely to have the forms people will need to fill out for two way meters, and of course…they’ll have the meters. If it’s Not So Good, and nothing is being done and you’ve already saved money with your Solar Hot Water System, then consider our GRID CONNECTED BATTERY SYSTEMS and PORTABLE STAND-ALONE EMERGENCY SYSTEMS that will open gates, garage doors, back up your house or just something you can take to your cabin in the hills to write that book you’ve been talking about. All the electric you make is yours at no further cost. No raising rates. By the time your batteries are gone, 8 to 10 years with the grid to keep them charged above 50%, the new Lithium batteries will be cheap and available everywhere by that time. We buy and sell quality products, once and a while we have one left-over from a previous model – doesn’t mean they don’t work. In fact this system works REALLY WELL. I enjoyed a free hot water shower this morning for the first time. What’s different about our systems? 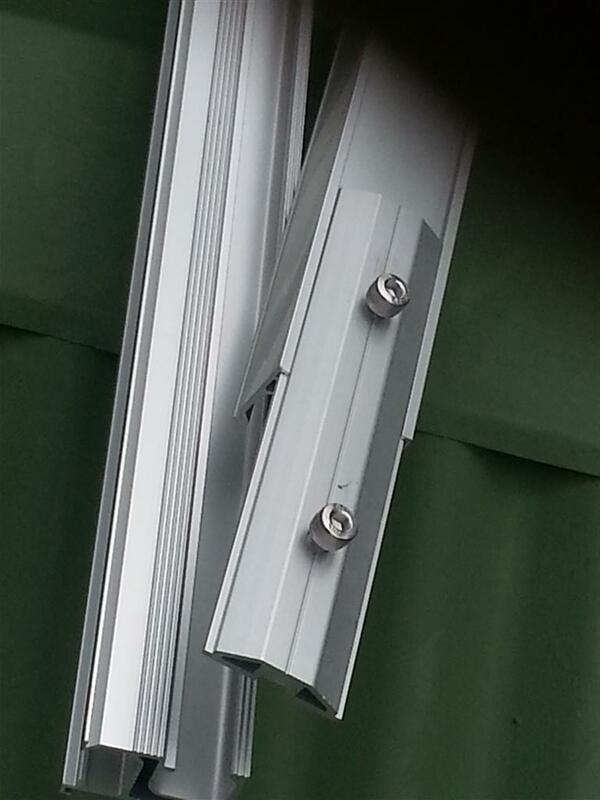 Our installers are smart and experienced. 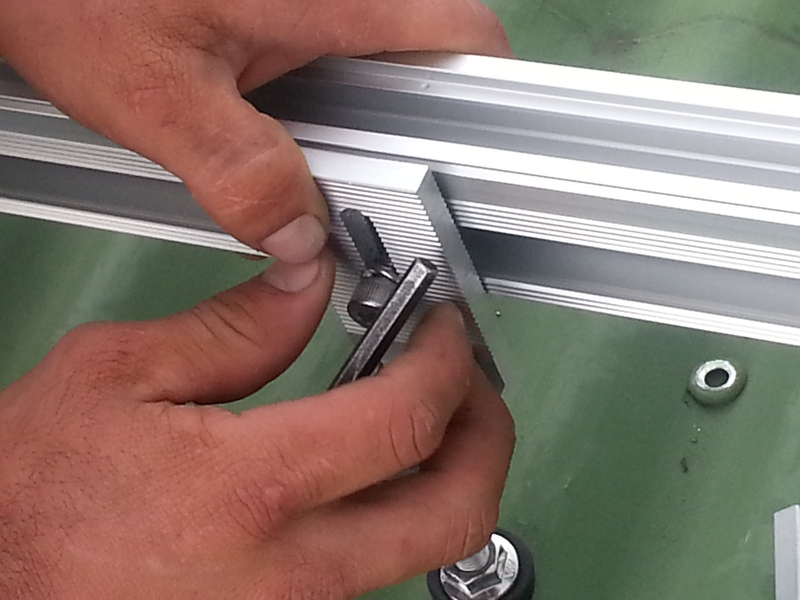 We use PE-AL-PEX plastic/aluminum Cross-linked polyethylene tubing with compression fittings on each end. This means it won’t leak and because there are no elbows in the line, no flow problems. My customers tell me they save between 25 and 60% on their electricity bill. Me next! Brilliant in cold overcast areas like Arinal. My 10 panel system with ICE brought my bill from 85,000 Colones to a low of 24,000 Colones. 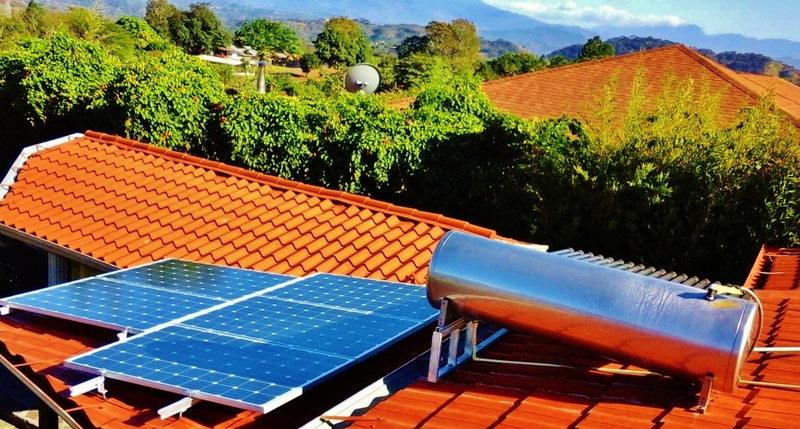 I want to KILL ice BILL with my new Solar Hot Water System. Can’t wait to get the next BILL! THREE WEEKS LATER…. about our “old style water heater…” Gaby and Andre had to go to San Jose on Friday. They had to shower and be out of the house at 4:30 a.m. They couldn’t wait to tell me how HOT the water was at that time of the morning! Remember, I have no electric (though I could) hooked up to this tank. We’re almost 3000 feet above seal level here, it gets chilly at night… Pura Vida! yes, we’d hear at last what was going on with our own ACESOLAR and about ARESEP, ICE and Minae, (now dressed in a white hat) and the various interested parties. We made sure our people were listening to the speakers as the rest of us manned our table. 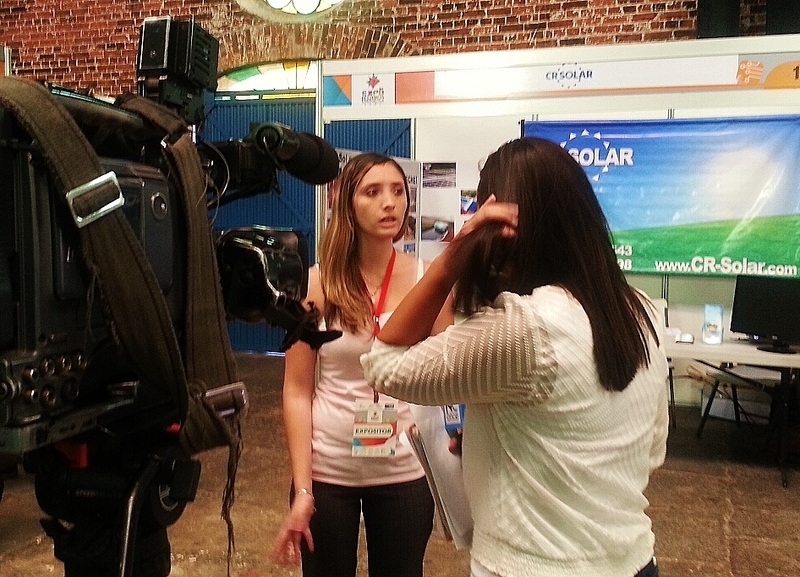 We met with other Solar Providers and gossiped amongst ourselves to guess what the new regulations would be. Some were optimistic and others weren’t, I still didn’t know what to think… except SOLAR HOT WATERS are a great idea! Please click on the tank above and have a look! Well, SOMETHING will come out of it, just has to. The new date for transparency was to fall on the 15th of April we were told. Speeches abounded there at the fair, all the boss’es were there – showing us smiley teeth and saying things like “zero carbon by 2030,” a safe bet since those of us who read will be approaching our nineties and they’ll be drawing deeply from their pensions. So please think about Solar Hot Water systems; especially good ones like ours that will work without direct sunlight and lower your electric bill enough that when the time comes… TA DA!!!! 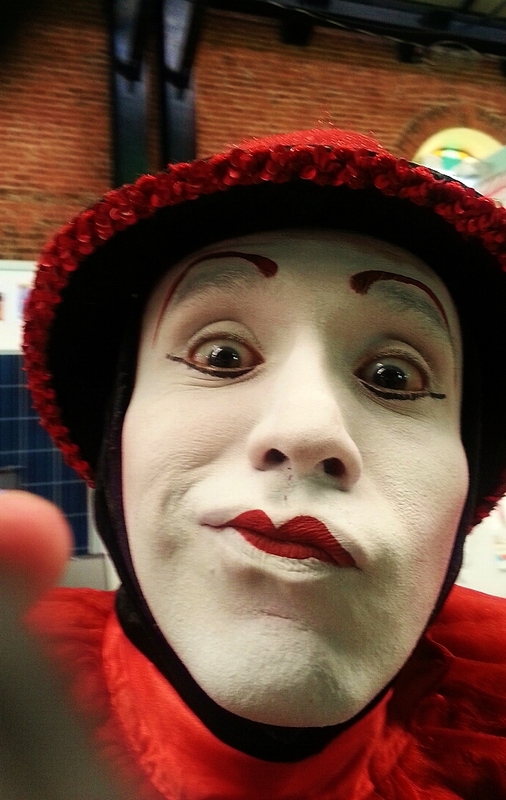 You’ll need fewer Solar Panels whenever you can buy with confidence. 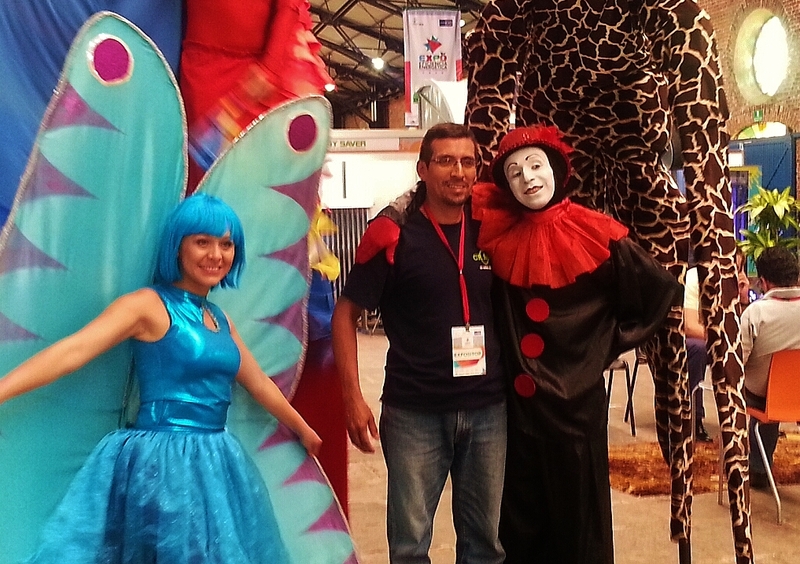 Meanwhile our Mom & Pop crew had fun and found the best salesmen we’ve ever had in Tio Ricardo, one of our installers and part of the family. Just remember, Solar Works. Our industry will be here for our great great grandchildren…. who will grow up thinking that oil is just a handy and inexpensive lubricant. …and the idea of having wars over oil will seem absurd to them. More news as it transpires…. Fifty years from now these will be known as the dawn of the Solar age, and they’ll likely still be working. People will collect them like old Fords. Don’t let Bureaucrats ruin it for us. This is going nowhere. The solar industry has been waiting for new regulations for grid tied systems since before the pilot program ended. 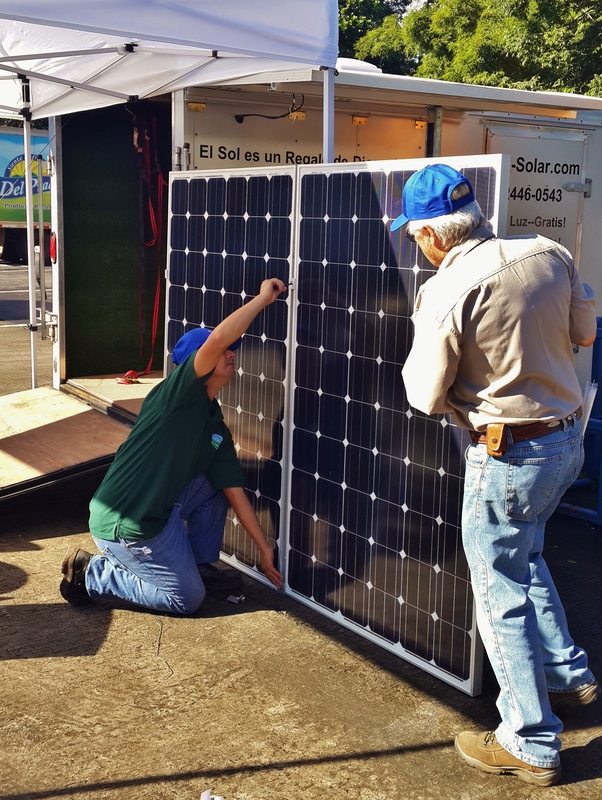 Now – three weeks after the closure of this pilot program – ARESEP has burdened our Solar community with such an unfair tariff that only large commercial companies can benefit by it. From no regulation we’ve gone to unacceptable regulation. Put simply, ARESEP, who regulates all power companies, wants to charge by the kWh what someone produces with his solar system. This means they’ll charge you for your savings on electric consumption; about 25% of what you’d have paid if you just bought it straight from the power company! Such a deal! If they’d put a reasonable tariff, say only against the cost of power generation and distribution, I mean, it’s us investing our money and making the power that the various companies can use, I’d think that would be fair, don’t you? That is, as of last Thursday, 26 of March, ARESEP approved this regulation and in the coming week, will submit it to La Gaceta. After that, there are 3 days in which people can, and Should, ask the regulator to reconsider this way of charging for Solar generation. Another way of seeing it is if you spend money on high tech lights for your house, run the pool pump fewer hours and put in a gas stove, Power Companies won’t charge you for your savings. However, if you put up Solar Panels, they want a big chunk of the money you save. It’s a stacked deck. If ARESEP ties a tariff to the operational costs of the power companies, they won’t be following their own mandate, which is to develop a real cost of operation. Knowing the cost of production is important, to know the demand of the country, but they can’t charge the solar industry for that, hell, we’re their friends! 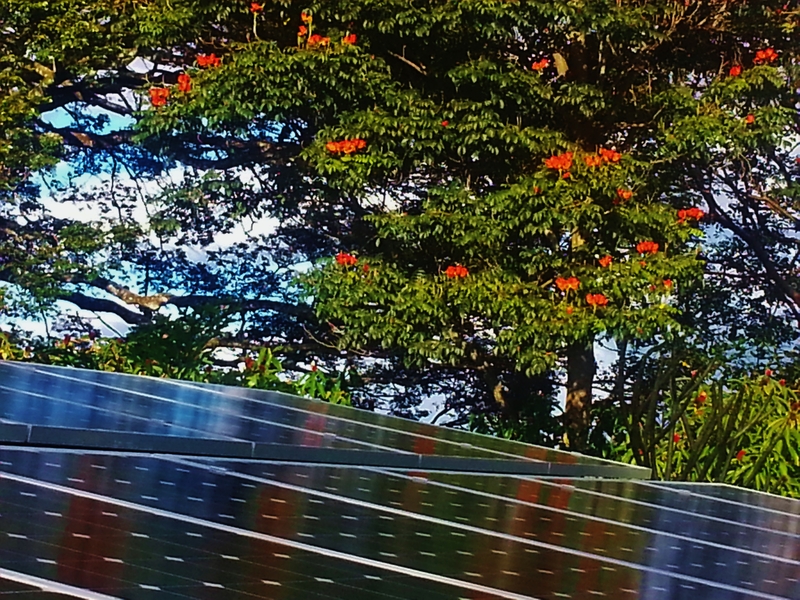 In fact, this tariff will only complicate an already smooth working industry by measuring the production by a meter accessible to the electric company, not yet invented, at the source, instead of a simple-already-working monitoring system, they’ll make it impossible to implement… which makes me wonder if they even want solar energy in Costa Rica. This is not the proper function of government agencies…. to throw nets in the river of commerce by its own people and for their own good. This tariff will waste time and resources of the very people who provide the service, i.e., Solar Companies, banks and installers; trying to make Solar Energy affordable for the average home owner. In the end, a high tariff will kill the Goose-Who-Laid-the-Golden Egg; and along with it, a chance for clean, affordable electricity… at least for homeowners. What a shame. What can I do? This Monday there will be Public Hearings at 5:00 p.m. in 9 locations in Costa Rica. Find one close to you and SPEAK if you don’t agree. Follow Purasol on Facebook too, for latest updates. In Moto GP there was a time they called the “silly season,” when the moto press speculated on which highly skilled rider would ride a particular brand of motorcycle in Moto Gran Prix following season. Rumors would fly, tongue’s would wag and pit guru’s would drop hints. In the end, it was only possible to know who-rides-what when they put their wheels to the line for the first race of the season. 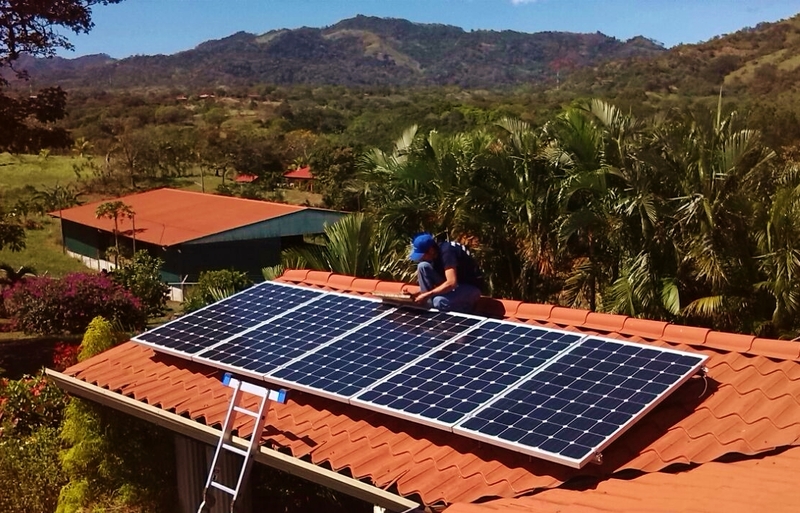 ….and so it appears to be with different stories about what’s going to happen with solar in Costa Rica… I don’t claim to know them all, some are definitely true, the pilot program is ended from what I hear now, it is not likely to be extended. I have faith in market economics and think it will be sorted out so that we may continue. 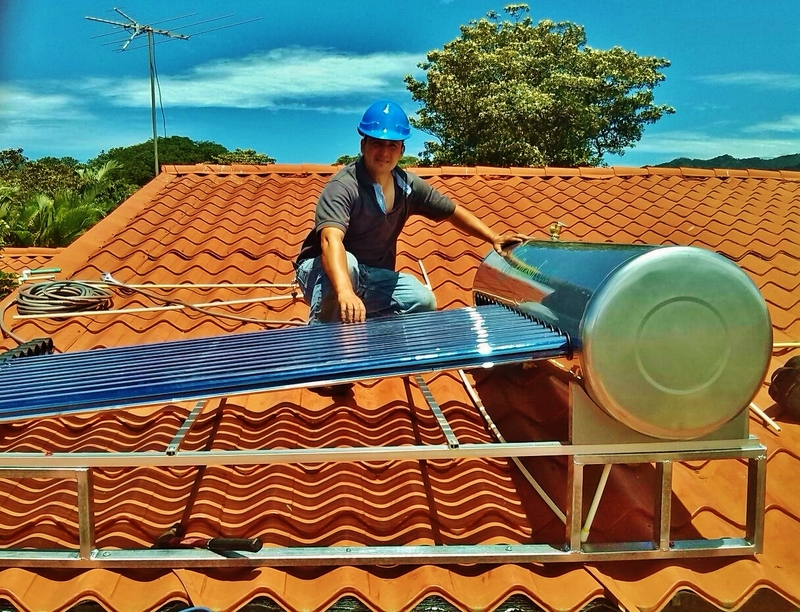 After all, the president of Costa Rica want’s Solar for his country. There are millions of dollars and enormous pressure from the industry to continue. Another plan put forward is a device attached to your breaker panel or somewhere before it gets to your breaker panel, so they can measure how much you are actually producing…. and tax/charge you for it. A number of $.05 a watt was mentioned. It’s not my place here to judge as good or bad, these possibilities, just to point them out. We rather like the original plan of counting excess kWh produced and saving them for the customer during the winter months when production is lower. Meanwhile it’s important to know that people who installed their systems under the pilot program will be “grandfathered in” for the next 15 years so that even though the rates will rise like death and taxes, the relative cost of electricity of what you buy and what you sell will remain the same. One more thing, we’re being told to keep taking orders, so this is us telling you to make them before it dries up again. It has to be HOT when it’s COLD!! 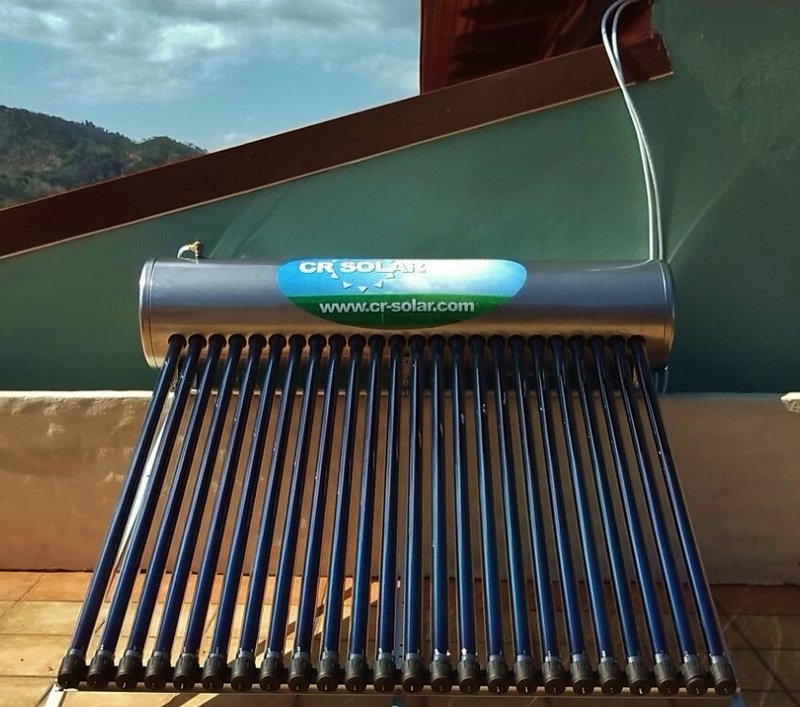 This is our new 200 liter, thermosiphoning Solar Hot Water System from ezinc, manufactured for the European market and ultra cold climates. The above picture is not photo shopped, it was windy, look at the trees, and cold with fog so thick it felt like rain. Our customer was skeptical; frankly so was I, this was our first installation and we were up there with the towers! The next day, Joe, our customer called and said he was actually getting hot water out of the system. A few weeks later Joe called again to say his electric bill was cut in HALF! A month later he sent us a glowing review. We’re stoked, you will be too, this system works! PS, A side benefit with a good solar hot water heater is that you don’t have to second guess the electric companies or wait two months for them to install a meter. You’ll start saving the moment your system is installed… takes a half a day, why wait? 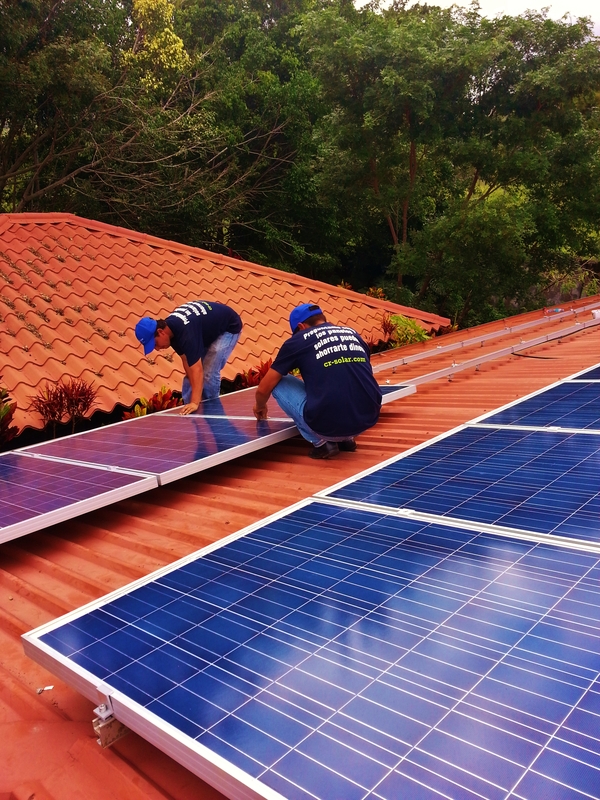 * A further advantage is when you go to install your Solar Electric System, you’ll SAVE MONEY with fewer panels. Energy efficient in two ways!